Kasargod, Oct 18, 2017 : In a tragic incident mother and her seven month old son was found dead in a lake near Badoor in Kumble on October 18, Wednesday. 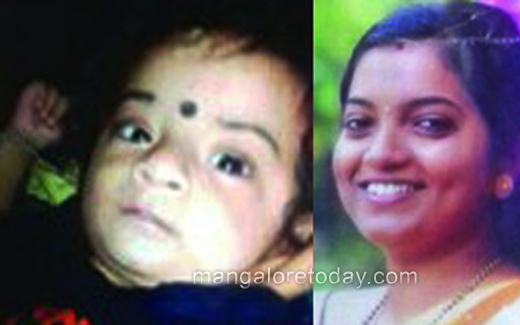 The deceased are identified as Shruthi(28)wife of Padmanabha Rai and their son Ayush. Family sources said that Shruthi and Ayush had gone to sleep after having their dinner. But since morning they were missing , family went in search of them found their bodies floating in a lake close to thier house. Shruthi was depressed as Ayush was a heart patient, it is suspected that this may be the reason for extreme step. So sad? We cannot assume anything in this matter the police has to investigate the case.